Every Inch of this bike says motorcycle! We have created the coolest and best quality piece out there. 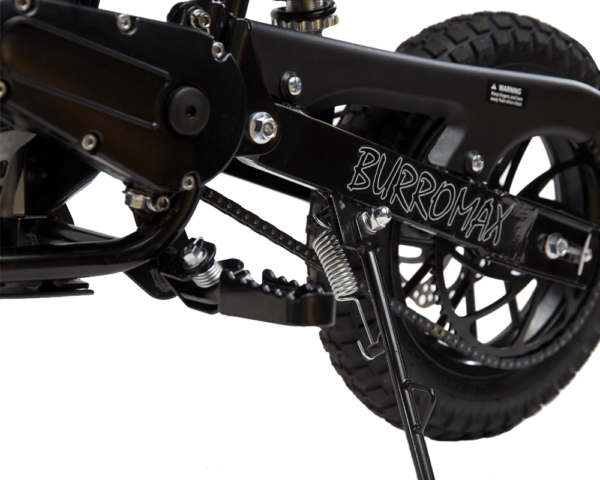 We've scaled down a cross between a TT Enduro and a Flat Tracker to give you a distinct look, added large diameter aluminum alloy wheels with 12.5" diameter pneumatic tires, rear disc brakes and a taller and wider 21" seat height for rider comfort with adjustable handle bars for added control. Heavy duty welded steel tube frame with adjustable mono shock rear suspension and telescopic front forks make this bike a very smooth ride. 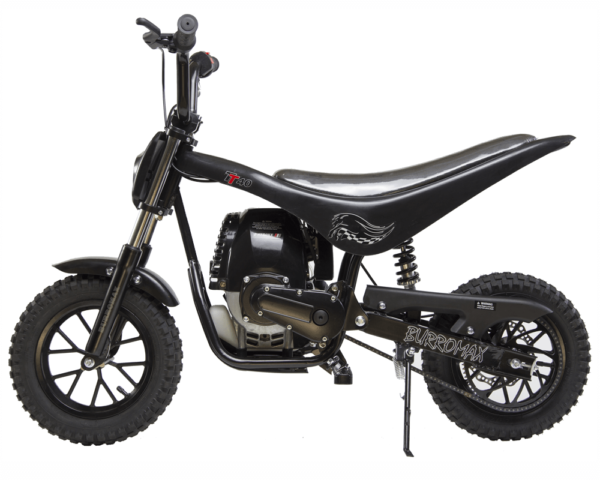 The TT40 is a much more ergonomically friendly set up than other small dirt bikes allowing rider comfort for taller kids. 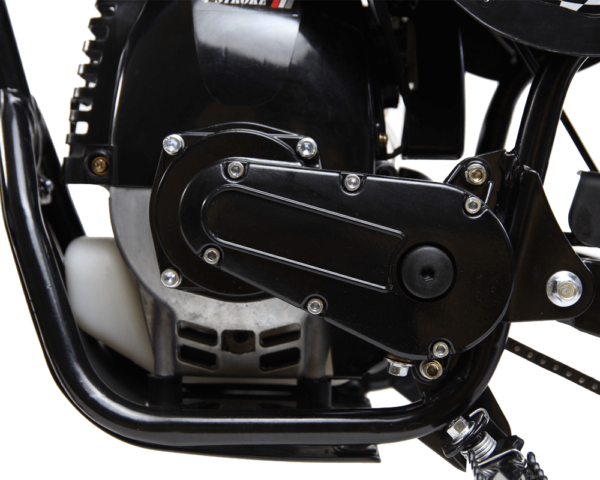 The seat is wider and longer, distance from footpeg to seat is greater and distance from Handlebar to rider has more variation available. The engine is a 40cc 4 Stroke which means you do not need to mix oil when using like the 2 strokes require. 4 Strokes are much simpler to use and store without the need to service the carburetor every year. We also have our own Oil Bath Jackshaft drive that is longer lasting and maintenance free, most competitors use a greased chain--not good! This bike is better by design than anything else in it category and is a great choice for entry level riders. 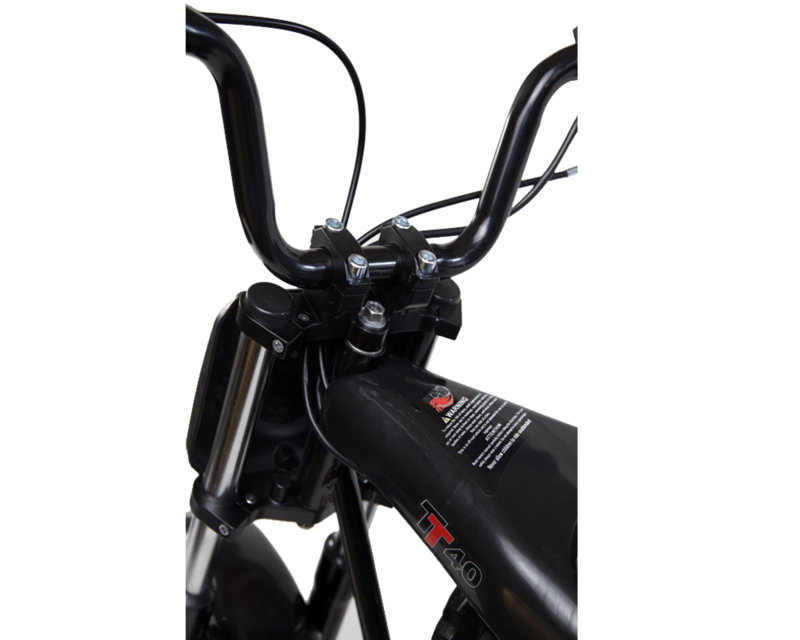 Our TT40 is fully assemble less handlebars and many of our competitors require a lot of assembly! 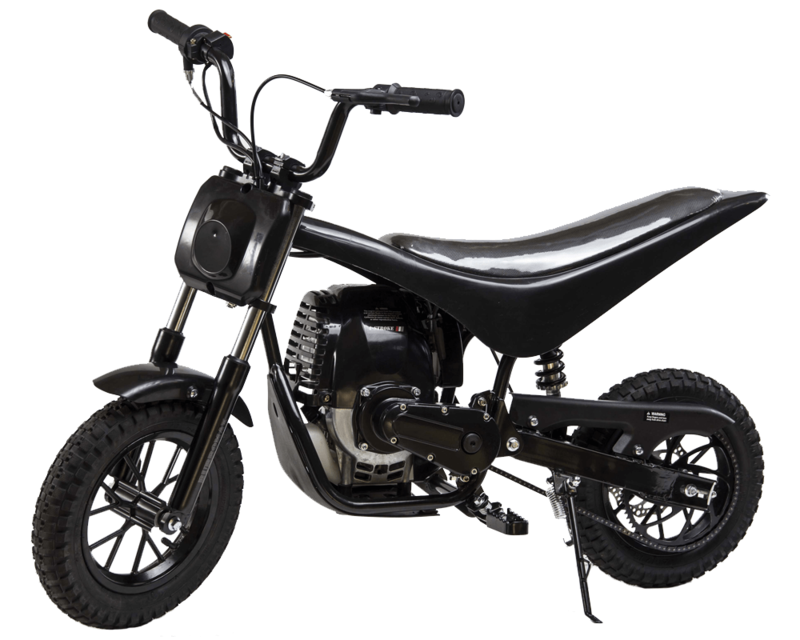 You will see the quality difference over our competitors in the Entry Level Mini Dirt Bike market. 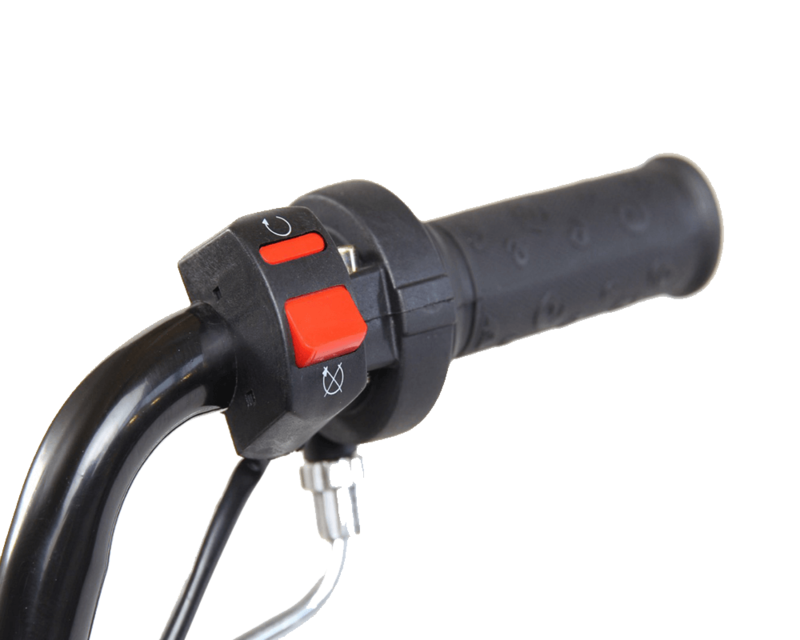 Fully Assembled Less handlebars ! 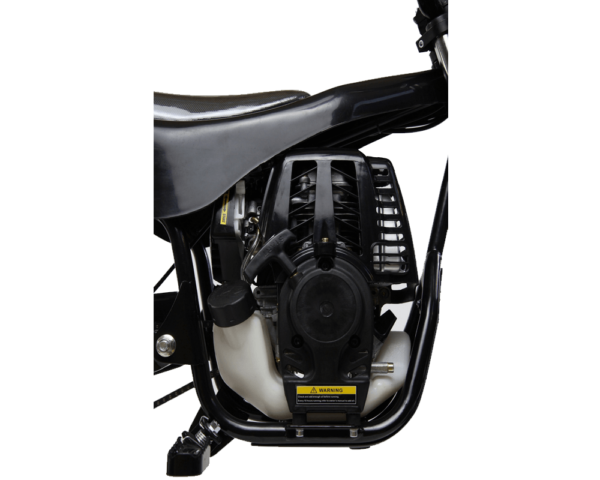 4 Stroke Gas Mini Bike with full suspension! Way more comfortable and easy to ride than our competitors.